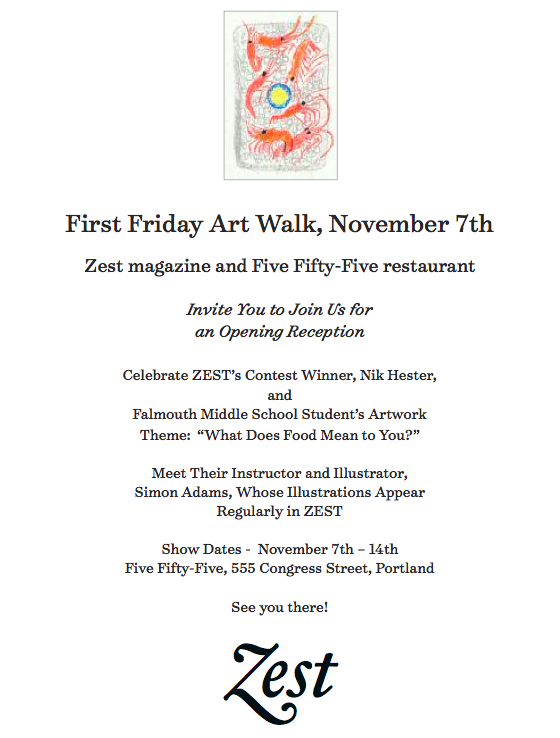 So I invite anyone nearby (or feel free to travel) to come to the opening at 555 restaurant on November’s First Friday Artwalk in Portland. That’s Friday the 7th. 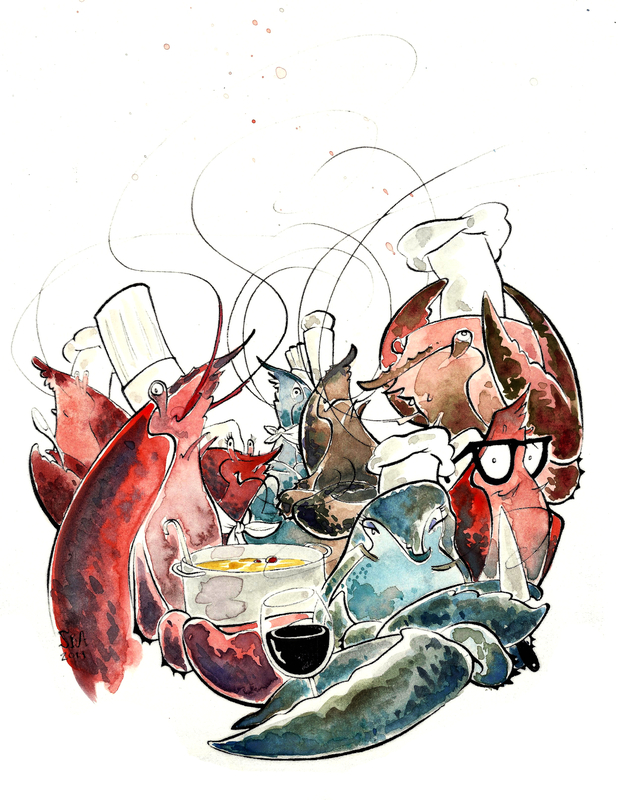 The show is sponsored by ZEST magazine and will feature food inspired art by my 7th and 8th grade students, as well as a chance to meet the publisher and one of the featured illustrators in Maine’s new food and dining magazine. That’s me, by the way. here is the invite and below that the cover art from issue #1 (which came out in the summer). Issue #2, featuring many interior illos by me, should be available at the opening.